1. 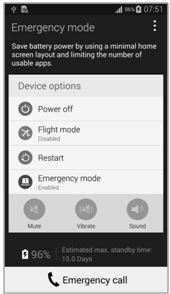 Tap the additional options and Select Disable Emergency mode. Alternatively, tap and hold the Power key , and then select Emergency mode . 2. Popup for mode is deactivated is displayed. 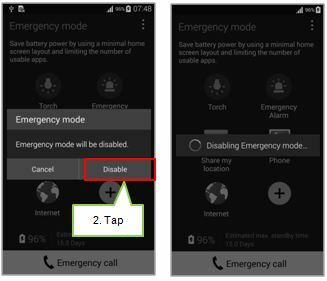 Tap the OK.
Galaxy Note4: What is Emergency Mode? 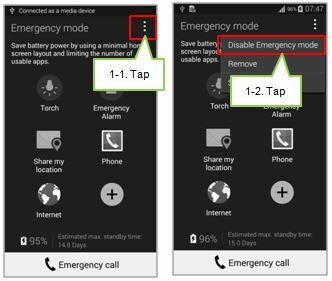 Galaxy Note4: How to activate the emergency mode? Galaxy Note4: How does fast charging works and how does it increase the charging speed?